Torsten Kühl studied law in Marburg and Oslo. After his legal traineeship in Düsseldorf, he worked as a lawyer in a medium-sized tax consultancy firm from 2009 onwards. 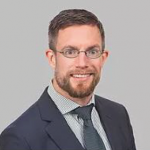 Mr. Kühl joined our firm in 2017. He advises our clients in customs law as well as in excise tax legislation, foreign trade law and market organisation law. This includes, for example, the appeal of notices of tax / import duty assessments of, tariff and customs value disputes /tariff classifications, the law of preferential origins and anti-dumping law. In the area of excise duties, Mr Kühl’s main focus is on coffee and tobacco duty law. He assumes the representation of parties in out-of-court and tax court procedures. He also represents our clients in the area of customs criminal law as well as in civil damages proceedings provided there is a connection to the legal areas mentioned above.